Having just returned from my 11th annual chamber music festival in Kaufbeuren, I realized again how very important the role of music festivals for young musicians is. We started the festival 11 years ago in the most impromptu and unstructured way imaginable, now it has grown into a well established high caliber classical music course booked to capacity. This got me thinking. Why does a somewhat rustic and seemingly basic format like this get such resounding and positive reaction? Why do we grow beyond our wildest imagination in a classical music market saturated with events and concerts? What are the main attractions of our festival, and what do we do right? 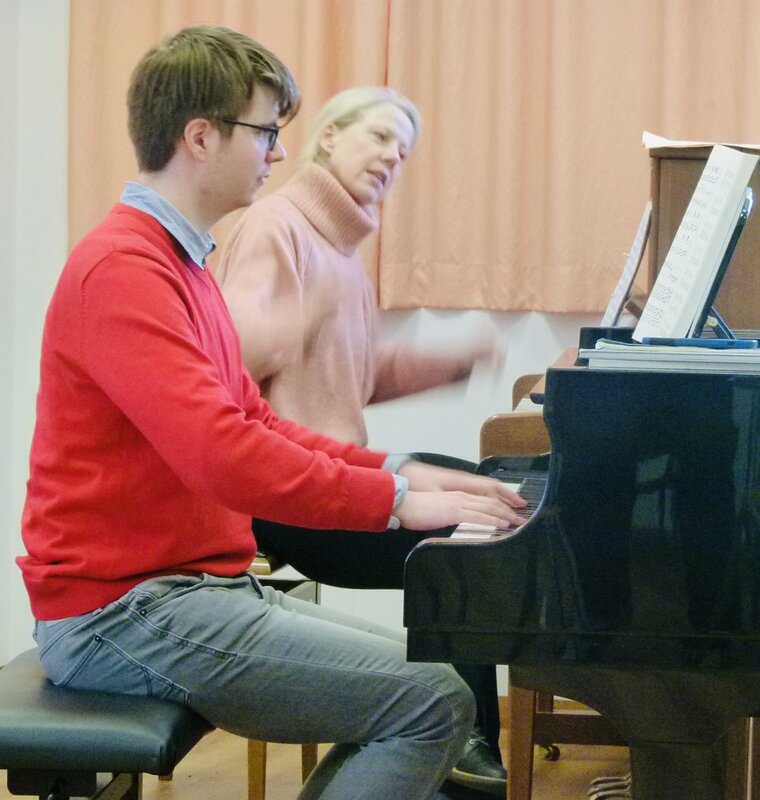 For many music students a festival offers the opportunity to work with a new teacher, something for which the usual one-on-one instrumental lesson is not set up. Comments given in a new style, with different focus points and from a new angle frequently lead to fresh insights. During this recent festival I got the impression that the participants were looking for an intense personal interaction with the faculty much more than for a sleek event format. Even though students sometimes worry about conflicting messages when working with several teachers, I do believe that exactly this ‘conflict of ideas’ can enable a student to find his or her own interpretation. During this year’s festival I sensed this ‘conflict solving process’ in many of our students. I witnessed the process of finding new paths into a piece based on the various solutions given by our different teachers. What a great way to learn how to find one’s own interpretational path. A valuable aspect of festivals is the open lesson or master class. Here the student gets the opportunity to watch a lesson with another student playing most likely a different set of pieces. In my experience this setting is the most conducive to learning about interpretation aspects and technical solutions. I felt such a sense of joy when our youngest participant (age 7) asked if she could observe a lesson with the next pianist on the schedule who happened to be a college student playing a Chopin Ballade. During the master class I was able to catch her facial expression as she watched the coaching of the Ballade. She was mesmerized! Spending time with the faculty and seeing how they interact in ‘normal life’ is another hugely important lesson for festival participants. I frequently think back to my own festival experiences. It is especially those conversations after a master class and over a meal that have left me with the most precious insights about a piece and with valuable tips for my life in music. Spending time with faculty is just as important as quality time spent with other students. It offers a wonderful opportunity to establish new professional connections, and it enables the students to learn about each other’s preparation process from practice habits to conquering nerves on stage. One of the truly astounding discovery I made during this recent chamber music festival was the delight of the parents and audience members about the complete lack of screen time. No more social media consumption, total focus on the moment, what a liberation! In our current environment of overstimulation and of individual isolation, music festivals can fill a very sensitive void. As I returned back home from this year’s festival, I felt such a sense of gratitude. 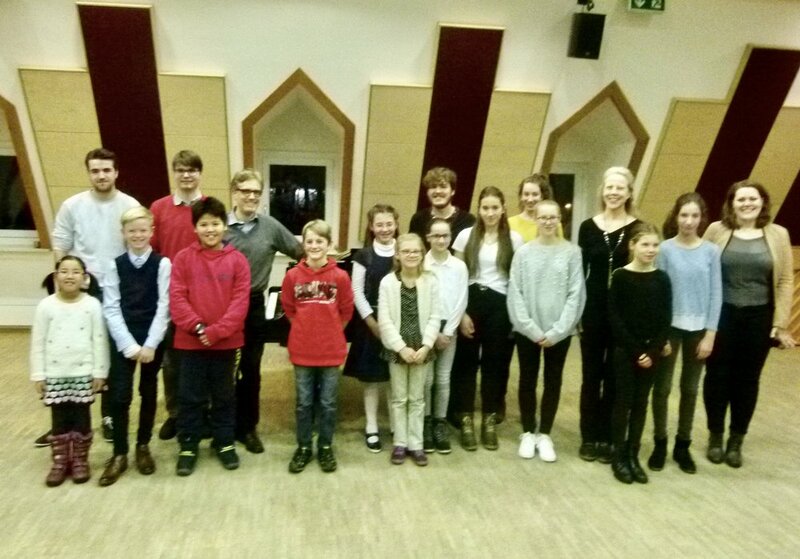 What a wonderful opportunity to work with our future generation of musicians, and what a great chance to participate in their lightbulb moments! I walk away having learned so much about music and about life. I can’t wait for the 2020 festival.